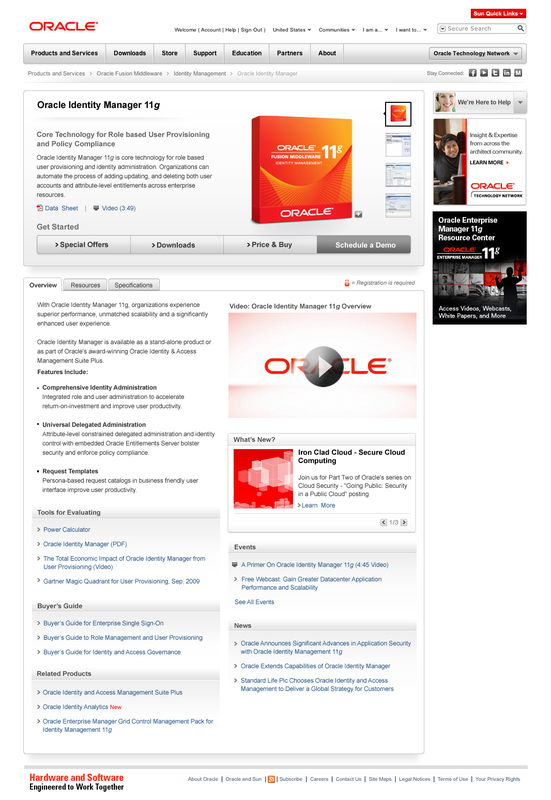 The project required a brand new flexible template for Oracle.com's product pages to accomodate the big O's thousands of products and their complexity. 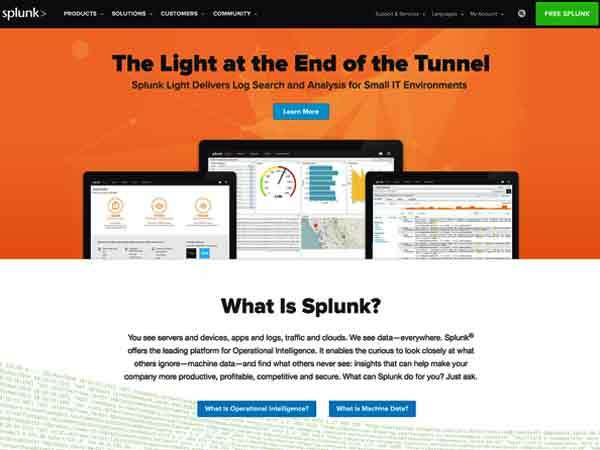 As Senior Designer at Oracle's Brand & Creative Department I collaborated with various Design directors, a UX specialist, and a PM who managed the numerous product owners and stakeholders who needed a voice in the project. 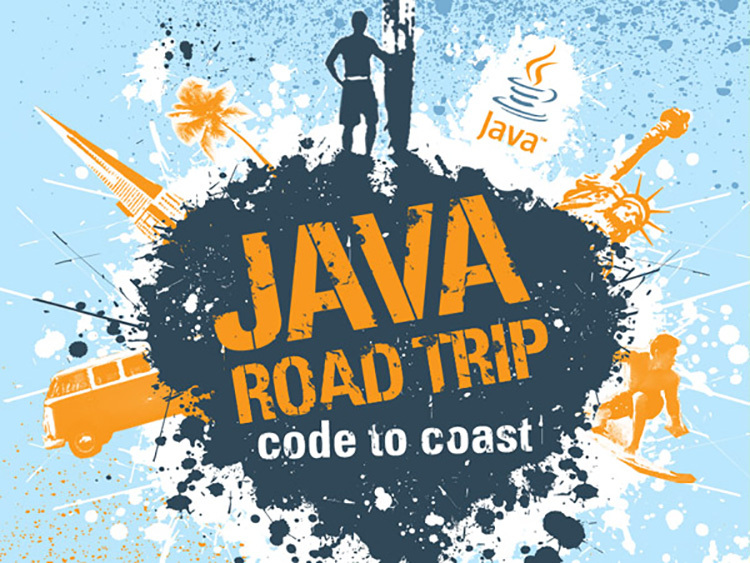 Through various iterations and some user testing the template and pages were implemented. I created the layouts, and designed the UI & UI interactions applied brand requirements and created all visual related aspects. 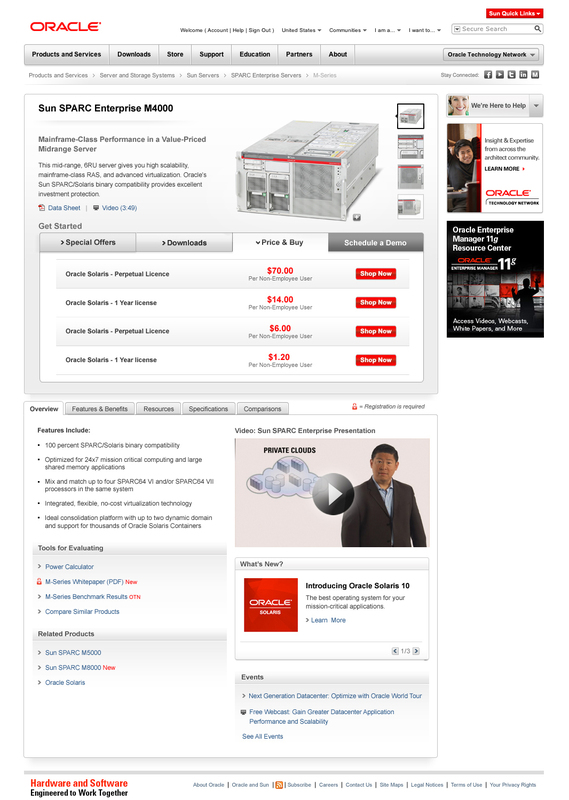 Oracle Product Page Main design. 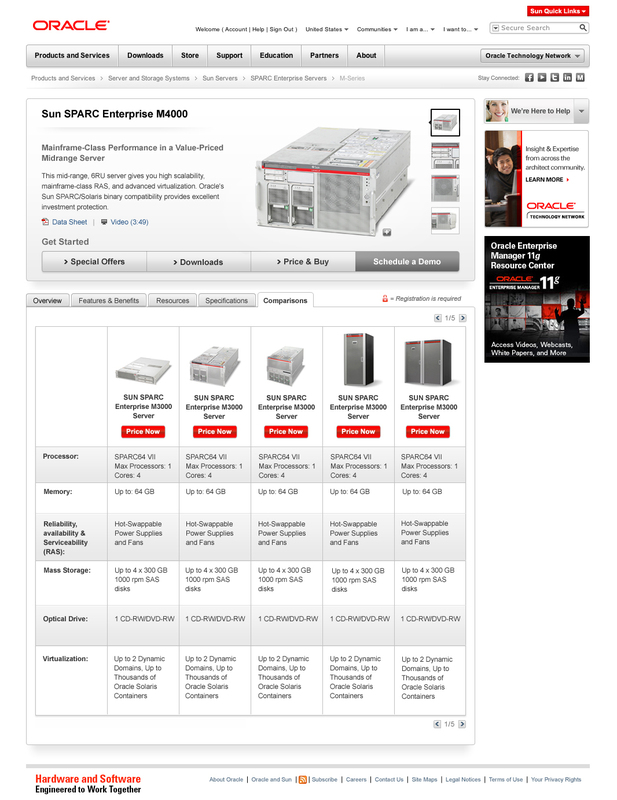 Oracle Product Page Comparison view. 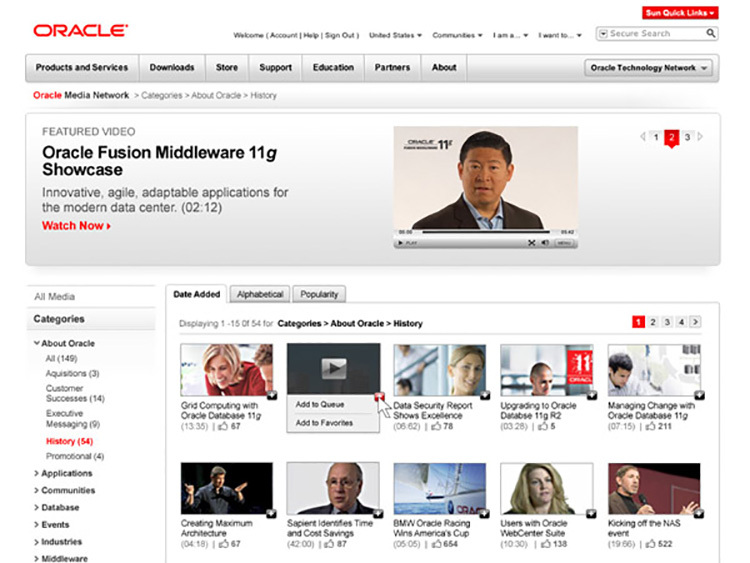 Oracle Product Page Main Tab Functionality.